The Bhagavad Gita is one of the world’s most read and ancient scriptures. It is the story of a conversation between a reluctant warrior, Arjuna, and his charioteer, Krishna. What is revealed in this conversation is a universal yet practical wisdom that can speak to us even now. It answers the questions Who am I? Why am I here? What is the purpose of life? How do I live and act? It shows us how to convert our day-to-day life into a spiritual practice and a means of transformation. The Gita Study Series present to the modern spiritual seeker, in a systematic fashion, the scientific and universal truths of the ancient wisdom of the Vedas and the Bhagavad Gita. These truths can be tested and verified just as science objectively tests the laws and mechanisms of the natural world by laboratory and field experiments. So too can the inner truths be tested in the laboratory of one’s own experience and in the field of one’s life. The Bhagavad Gita is not a religion or a system of beliefs. Study of the Gita enhances one’s existing religious or spiritual practice, it is not a substitute for these. Rather, it is something one can experience directly through one’s own life. 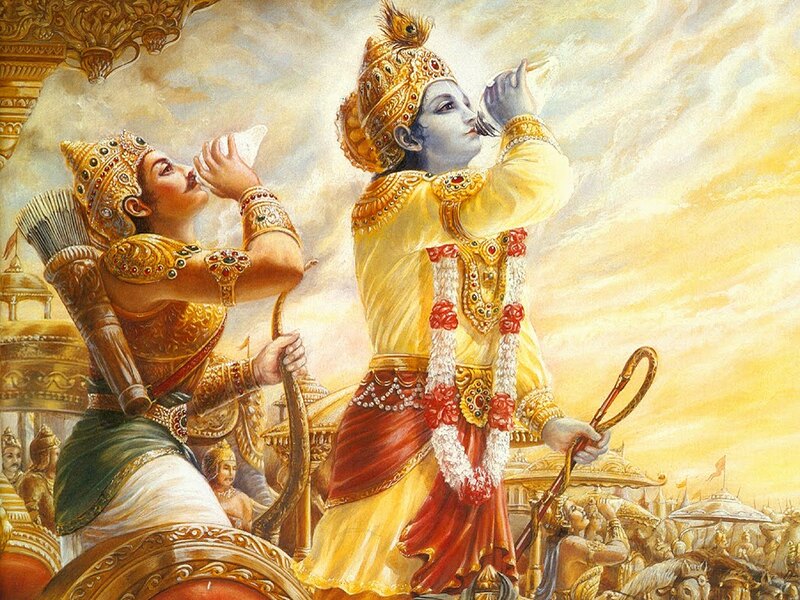 This interpretation of the Bhagavad Gita provides us with this unique and relevant interpretation of the Gita. This interpretation is a practical spirituality; a spirituality that can be lived day-to-day in a modern world. Yet this path is as ancient as man himself, it is the eternal wisdom, the eternal scripture. Connect with the wisdom of the Bhagavad Gita through Sat Shree’s commentaries on each chapter. You may send your questions to Sat Shree at newdharma@gmail.com. 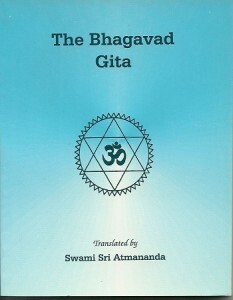 All quotations of Bhagavad Gita verses come from the English translation by Swami Sri Atmananda, published by Satyachetana Publications, Copyright 2008, and are used with permission. These lessons were inspired by and/or based on the Foundation course on the Yoga of the Bhagavad Gita and the Advanced Course on the Yoga of the Bhagavad Gita, both by Swami Sri Atmanada.